Collective bargaining negotiations in the National Hockey League exist to protect the owners from their own ruinous behavior. The salary cap, the salary rollback, contract limits — they’re all concessions from the players in service of the owners’ self-preservation. The CBA talks are like when you slowly remove your buddy’s ATM card from his wallet as he trounces through a Vegas casino carrying one of those frozen beverages they serve in a plastic bassoon — take a break, fellas, you’ve spent enough. And yet, there’s never any point to it, because every single team executive in the league that complains about “cost certainty” or competitive imbalance or a broken system will be elbowing his peers out of the way to circumvent or undermine the rules. That’s how we ended up with 15-year contracts with minimum wage final seasons after the 2004-05 lost season. That’s how we ended up with things like David Clarkson‘s contract with the Toronto Maple Leafs that attempted to accomplish the same thing — paying $21.75 million in guaranteed money in the first five years of the deal, leaving $6 million in signing bonuses for the last two seasons, with a base salary of $1 million for five of the seven years — the summer after the 2012 lockout. Some NHL teams have two great goalies. For some, the backup is outplaying the starter. And then there are the Flyers. Here’s our rundown of all 31 teams. The CBA establishes rules. Teams figure out ways around them. The next CBA seeks to remedy that. Rinse, repeat. The NHL and the NHLPA had talks in Las Vegas this week, with commissioner Gary Bettman sounding optimistic that the CBA issues could be settled without a work stoppage — and ahead of the 2020 World Cup of Hockey. “We’ll see what happens, but I’m not looking for a fight,” said Bettman, who inevitably always ends up in one when the players are across the table. A word on the next CBA: There is optimism on both sides that they could get something done without a work stoppage for the first time in Bettman’s tenure with the NHL, which began in 1993. But there’s also pessimism on the owners’ side that the players won’t strike, but will refuse to sign a new CBA, thereby “forcing” the owners to lock them out. Which, of course, could be avoided if the owners are reasonable with their employees and don’t give them reason to do so. But as we’ve seen, that’s asking a lot. Truth is, there isn’t much to fight about for the owners in this round, although the players have a number of issues over which to battle: Olympic participation, redefining hockey-related revenue, player-tracking data and its usage, as well as the biggest elephant in the herd packed into that room: escrow, or the percentage of money taken from the players’ paychecks that ensures that there is a 50/50 split between owners and players for that season’s revenue. What could the players offer? One theory from Sportsnet’s Elliotte Friedman is that contract term limits could be back on the table. That’s logical, given that contract limitation is one of the few sugary bits those Veruca Salts on the NHL’s board of governors haven’t gotten their sticky hands on. Please recall the last lockout, when the NHL and its owners wanted a five-year term limit on contracts, with a seven-year term limit for re-signing a team’s own players. It was, in the words of Bill Daly, “the hill we will die on.” Well, RIP, because the players ended up with an eight-year limit for a re-signed player and a seven-year limit for a free agent. There was always a lot of speculation about how serious the owners were about getting term limits down to five years; in fact, many people around the last lockout assume the NHL knew it could never get the players to agree to that number. But if the players came to the table with it now, in exchange for some reduction or recalculation on escrow, what would happen? The owners would be down with it, obviously, because they don’t really have to worry about the nuances of the salary cap and all the dominoes that would fall if contract terms were capped. That’s why they’re owners: Reduce costs, pay someone else to figure out the details. Pay someone like Jakub Voracek his $8.25 million cap hit for five years, rather than owe him that plus $21.25 million over the next three years where his $8.25 million cap hit nearly makes him untradeable. Give Jamie Benn a contract that carries something like a $10.5 million cap hit for five years, rather than one that goes on for eight years and has $16.5 million in guaranteed bonus money over the last three. The ability to reduce the payroll and offer less job security are like a warm blanket for owners. Why do you think they attempt to break unions like they’re cracking walnuts? The general managers, meanwhile, probably aren’t in sync with their bosses. Long-term contracts allow them to keep their cores together longer, and control costs by bringing down the overall cap hits with reduced salaries in latter seasons. Short-term contracts with players that would otherwise receive those soft-circumvention deals would mean huge cap hits. To use Benn again: His base salary in his first three years is $13 million annually. What does that cap hit look like on, say, a five-year deal: $12 million, rather than $9.5 million? That’s a $2.5 million difference annually, or one whole Blake Comeau. The only thing an NHL GM might find attractive about term limits is that it would really shake up the trade market for high-end players, at least in theory. 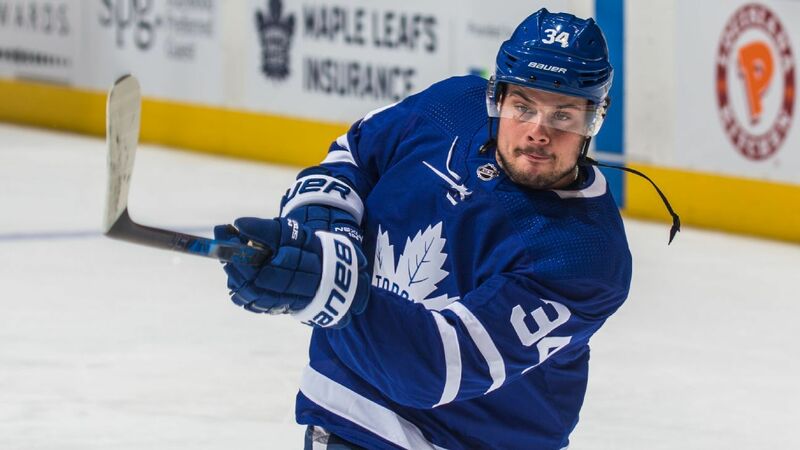 It’s no longer waiting for the seventh year of an eight-year deal before a trade partner is willing to take on a high cap hit — it would be the fourth year of a five-year deal, in theory. So at the very least, player movement would increase, which would make the trade deadline a little more interesting than watching a dozen Canadian guys on their phones waiting to get a text from Lee Stempniak’s agent on his next destination. I hate escrow, but I hope the players don’t give up long-term contracts in order to be rid of it. First, because they’ll never, ever, ever get them back. Like, ever, ever, ever, ever, ever. Second, because I think they do more good than harm. They allow teams to retain the players they develop. They allow teams to retain those players at a cap figure that then allows them to retain other players as well as sign useful free agents. Give me strong, dynastic teams over the wet oatmeal of forced parity every time. Finally, they provide a modicum of job security to players in a sport where they’re treated as disposable. So, for the players’ sake, I’d like theirs to remain a long-term relationship with their teams, rather than a CBA-shortened fling. Our favorite sentient carroty lint ball decided to use Twitter trending topics as inspiration for its latest bit, as Gritty did both the “Bird Box Challenge” involving a blindfold, while also trolling Chicago Bears kicker Cody Parkey for getting his potential game-winning kick blocked by the Eagles, resulting in the double-doink heard ’round the world. Meanwhile, the rest of the NHL’s mascots continued to pick on the new popular kid. After the NHL tweeted that “This Gritty character can not be contained,” many of the league’s other furry heroes responded that yes, he very much can be contained. The NHL should put the mascot game at All-Star Weekend on pay-per-view. It’s going to be a fur-bath. Obviously, Crosby wins on points per game and Stanley Cup wins and head-to-head playoff wins and gold medals and yadda yadda, but it is completely wacky that these two titans of the NHL are this close in career points over 13 years after their debut seasons. You know, the one where Ovechkin did the one thing that’s impossible for Crosby to accomplish, which is winning rookie of the year. We’ve all come to appreciate both players, and will continue to do so long after they’re retired. But isn’t it incredible that both entered the league at the same time with such hype, made such marks as young players and then exceeded those expectations for the rest of their careers into 2019? That’s an absolute rarity in pro sports. One assumes this is a New York Rangers fan attempting to share a kinship with those Golden Knights fans who wear “Vegas Strong” jerseys to games, in which case it’s sorta noble? Either that or we’re looking at the world’s biggest Marc Staal fan. See, this is the kind of Jersey Foul we love, because it’s nearly indecipherable. Patrick Maroon was, in fact, a Duck. He wore Nos. 62 and 19 with Anaheim. He’s now in St. Louis, where he wears No. 7 — just like current Duck Andrew Cogliano has since 2011 with Anaheim. So is this a tribute jersey to Maroon? A protest jersey against Cogliano? A Maroon 5 fan that can’t count? A huge David Fincher fan? We’re baffled! All of this unpleasantness with Sergei Bobrovsky this week has obscured the big story with the Columbus Blue Jackets, which is that the local business community has now resorted to bribery to retain the services of pending free-agent forward Artemi Panarin. First, there was High Bank Distillery, which put up a billboard that read “Hey Panarin, Stick with Columbus and enjoy free High Bank for life,” and had a giant arrow pointing to that basic necessity for the cold Columbus nights, vodka. The trend continued with a local dentist offering her services to Panarin. Obviously there’s a big difference between the two, as the Blue Jackets don’t have a team vodka distiller, but we’re sure Panarin’s good on the dental stuff. We really hope this trend continues until the NHL has to address concerns about potential cap circumvention. Emily Kaplan and I were in Bristol this week, so we decided to do something fun and different with the podcast: We took your calls, like a real radio show! It was fun, and we’ll do it again, and we appreciate the dozen or so of you that give us a buzz. Stream it here or grab on iTunes here. Fare thee well to Rick Nash, a great player and a better person, who retired this week. What should the Oilers do at the trade deadline? Nothing! What should the Flyers do to change their fortunes? Comedian Gerry Dee is getting slammed for an ill-conceived bit involving the CWHL All-Star Game. The NHL should really bring the Stanley Cup to more places. It was a hit in Fresno. Getting a glimpse of the NHL’s new player tracking technology, which was tested in Vegas. Emily’s story on hockey butts presenting issues with pants-shopping is the best thing you’ll read this week.